I’m a big fan of David Mitchell – I devoured Cloud Atlas – although, perhaps oddly, I’ve not read The Thousand Autumns of Jacob De Zoet, which I suppose is a precursor to this book, so maybe I should have. But, it it’s not necessary to have done so. Mitchell’s way with prose is second-to-none. He can create a world in a paragraph and destroy all your remaining hopes and dreams in another. He’s also really mastered the multiple-narrator trick. Each sounds distinct in a way that isn’t cloying, but natural. Holly Sykes, the principal protagonist of this book is, well – she’s one of the best characters I’ve read in ages. She’s inspirational, she’s tough, she’s smart. She’s only the narrator in 2 sections, but features prominently in all. Here’s an odd thing – with the exception of the epilogue (more in a moment), the narrators are universally dislikable. The other characters get to shine when someone else is narrating them, but the narrators themselves do not. When we first meet Holly she’s a bratty teenager – not horrible, but not exactly nice or good. But, tellingly, you already see the signs of worthiness that the latter narrators will expose. But Hugo, Ed, Crispin & Marinus are all quite unlikable as narrators, though each gets varying degrees of remediation in the eyes of other narrators. The primary sci-fi element running through the book is forgettable, oddly. Indeed, my least favourite section is the primary dénouement, which is straight-up super-hero-immortal vs super-villain-immortal and not terribly well thought through, I thought. I found its own internal rules inconsistent, which is a cardinal sin for sci-fi/fantasy. But, the book is so good this is easily pardoned. And Holly. Holly’s so damn great to read that she makes this section worth it. Finally. The epilogue: A post-internet, near-future (30-years-from-now) post-apocalyptic world that is so horrifyingly plausible that it left me fairly shattered after reading. Honestly, the first 500-odd pages are worth it just to read this – but DO read the first 3 sections at least to give this the real weight it deserves. Lastly, there’s a nice (I’m assuming) hat-tip in the book to Vancouver’s own Douglas Coupland. I spend a lot of time reading news online – far too much really. And why not? It’s an easy way to get a wide view of current events. Generally, in any given week, I’ll read through at least 2 stories from The Globe & Mail, The New York Times, The Vancouver Sun, The Guardian, Al Jazeera (english) & Le Monde. There’s a slew of other sites as well, but I’m focusing on “traditional” newspapers and their online forays. Each of these sites shares some layout similarities – I don’t want to talk about their design for this post – a leading article + accompanying photo at the top, under their masthead, then a list or grid of other articles. Some look more “bloggy”, others more “newspapery”. When a story breaks, a fun little activity I do is to canvas the headline for that story from each of the news sites I read to gauge their editorial take on the issue (firmly pro, anti-, on the sidelines, reluctant, eager, etc). I’ve come to the belief that the leading headline (is that the lede?) reflects the political leanings of the paper more than any other visible element. As a result, headlines are often somewhat misleading as to the content of the story hidden behind it – the lede is there to “sell” after all. Because all the article titles in an online paper are links, this is the information that I have to decide whether or not to read a story – there’s occasionally some intro text for the lede & other important stories, but often, I’m basing my decision whether or not to click solely on the link text. Let’s take a look at 3 photo + headline combos that are around today. There’s a photo of the subject of the article, Dame Judy Dench, but slightly turned away – I suspect many readers might have no idea who she is. The headline isn’t any more informative either. 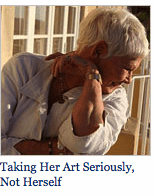 We can assume that the article is about the woman in the photo, but maybe not. And do I care? I don’t know who this person is. There’s not really a lot to help me decide whether or not to read this article. I personally don’t find a compelling reason to click through this. This headline I find more informative, although I’m never fan of stock art without good reason. Certainly an editor could have found a more compelling image about American debt than a piggy bank? But at least I know who wrote the article (if that matters, and when it was posted. Both useful pieces of information in the online world. I go back and forth on the WP’s habit of including a couple of related stories. I like it because it groups related stories together, but I also find it distracting, because sometimes the related story is what I end up clicking on, and forget about reading the main headline. If you click on the main headline, you can still find the related stories (oddly buried in the middle of the main story), but not vice versa – click on a sub-story and you’ve lost the relationship established on the home page. But again, nothing here tells me what I’m going to be reading about. Much like the other 2, this title isn’t terribly informative. I know from the thumbnail that I’m linking to a video (actually, this bugs me: When I see a play button, I expect to be able to play something in situ, not be sent somewhere else – why doesn’t the video just expand and play right there?). The headline is ok – not terribly informative or compelling, similar to the other papers. But here’s where the globe and mail really shines: Mouse over that headline, and they’ve made smart use of the title attribute to provide additional detail about the article underneath. 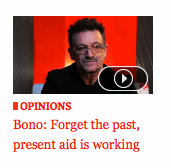 In this case, it reads: Bono, singer and activist, speaks about aid getting smarter since the 1960s. “Don’t be put off by the past. The present aid is working.” So I get additional insight into what I’m about to read – some context, to help me make my decision. It makes such a difference when presented with a long list of article headlines as to which I actually click on. It’s trivially easy to program, and yet the Globe is the only newspaper that makes use of this. It’s primarily why I consume the Globe more than any other paper – they help me make my reading decisions easier. I can scan the homepage quickly, easily get more context on a given article to decide if I want to read it, without having to click through to read the intro paragraph. It’s a simple thing, news sites: Help me make my reading decisions easier. It takes me 2 clicks to get any other newspaper in the world to read the same story – so make me want to read at your site. Adding titles with information about the article I’m interested in is one tiny little detail that isn’t hard to do, but it’s that attention to detail, sweating the small stuff to improve usability & accessibility that will make winners and losers in the age on online media. the afore-mentioned Flickr Book arrived today! And my photo is on page 51. 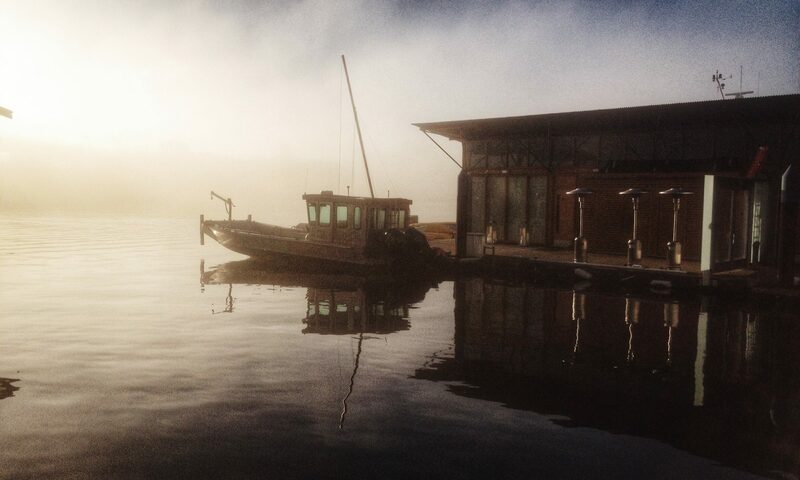 There’s some simply stunning other photos in there too. I’m excited! You should all go buy the Flickr Book. Why, you say, should I spend my hard-earned money on such a trifle? Because my photo is contained within! The same photo you can see for free online at any time! And thus potentially even print yourself, should you so choose! But this particular instance of it comes with a posse of 121 other photos, who’s only connection is that they were all born on the same day. Which perhaps, if you’re in the right frame of mind, makes the book-bound version of my photo (or the book-bound version of the other 121 photos) just that much more special and meaningful. So what’re you waiting for!? With a pitch like the preceding, how can you resist?